Our patients are thrilled to get back to living their lives – without pain! Listen as a few of them tell their stories. Read more testimonials from satisfied patients living a life without pain. Charter fishing captain Anthony Vernieri depends on his ability to navigate his boat, stepping on and off, bending to help clients land their fish. When severe arthritis threatened his mobility, and therefore his livelihood, he turned to Zehr Center for Orthopaedics for unprecedented bilateral hip replacements, just 34 days apart. When years of playing catcher for a fast pitch baseball team impacted Bruce Goldstein’s ability to enjoy his retirement career as a professional dog walker, he opted for partial knee replacement by Dr. Robert Zehr at Seaside Surgery Center, using the MAKO Robotic-Arm Assisted Surgery system. Carla Hammen loves teaching! But juvenile rheumatoid arthritis took a toll on her joints, one knee in particular. After years of alternate therapies such as shots and aspirations, it was time to get a total knee replacement, so she could continue to move about her classroom with ease. 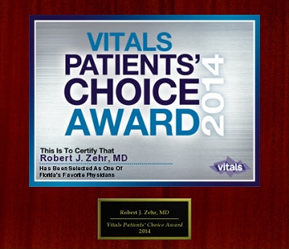 Outpatient total knee replacement by Dr. Robert Zehr, performed at Seaside Surgery Center in Naples, Florida, solved her problem and put her at the head of the class again! Like many athletes suffering with joint pain, this golfer found ways to compensate for it, but his game – and his life – suffered. A new knee gets his game – and his life – back on course! This competitive racquetball player, avid golfer and active cyclist really only had one goal for his bilateral Custom Aligned Knee replacements – he wanted to be able to walk his dogs again. Now he’s not only keeping up with his furry friends, but is ready to take to the courts again with pain free knees! A former U.S. Congressman enjoys making a splash with his grandson, thanks to a total knee replacement and a total hip replacement. He now enjoys the full scope of a Florida retirement with the active, pain free lifestyle he deserves. Senior tennis enthusiast and author George Wachtel played the game hard and played it often – up to six times a week. Refusing to give up the game he loves, George even had “designated runners” cover the court for him when his hip pain threatened to sideline him. But within weeks after his anterior approach total hip replacement by Dr. Robert Zehr, he was back at the net! From his college days through his years on the field leading the St. Louis Cardinals, NFL quarterback Jim Hart had relied on taping, braces and his defensive line to protect his knees. 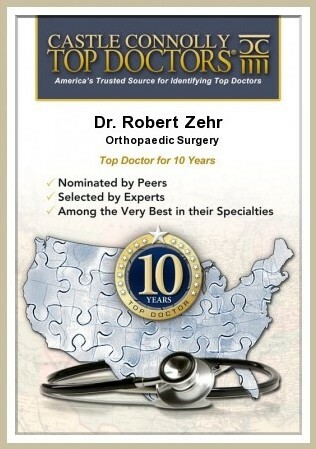 Several injuries to his left knee over the years led him to seek relief from his knee pain through a total knee replacement with Dr. Robert Zehr. Now he’s enjoying a new game – golf – with no pain! Imagine trying to showcase beautiful homes for sale…when climbing stairs and standing causes excruciating pain! With a painful hip most of her adult life, see why this Florida REALTOR chose the unique skills available at the Zehr Center for Orthopaedics when she needed her hip replacement. Businessman and new grandfather Michael Kohan is a self-described “man of solutions.” So when he experienced sudden onset hip pain, he immediately sought relief through a total hip replacement with Dr. Robert Zehr. With his pain gone, and mobility restored, he’s back to his favorite activity – chasing his toddler grandson. And looking forward to many more years of active playing with his namesake. He says it best himself: “I have to keep up with the 20 year olds!” And this fireman does, with the pain free flexible knees that he gained as a result of his bilateral total knee replacements. He is able to perform the high demand climbing, running and lifting that his job requires keeping our community safe. This former Marine is now a medical professional and Pampered Chef® consultant. Years of running and aerobics while protecting this country took a toll on her knees until the pain was so great she couldn’t even shop for groceries. Unicompartmental knee replacements now allow her to pursue her passions without pain! When this sprint triathlon competitor fell during a run, she knew it was time to replace her hip. The direct anterior approach to total hip replacement is a specialty of the Zehr Center for Orthopaedics and it put this spirited gal back in the running. She is now able to out distance runners half her age!